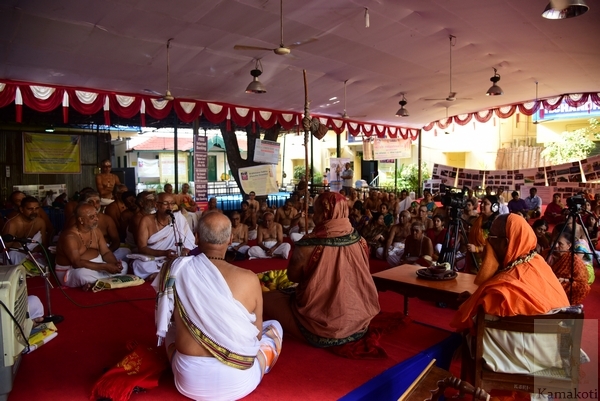 Yajur Veda Sammelan began here at Srimatam Camp in The Madras Sanskrit College. 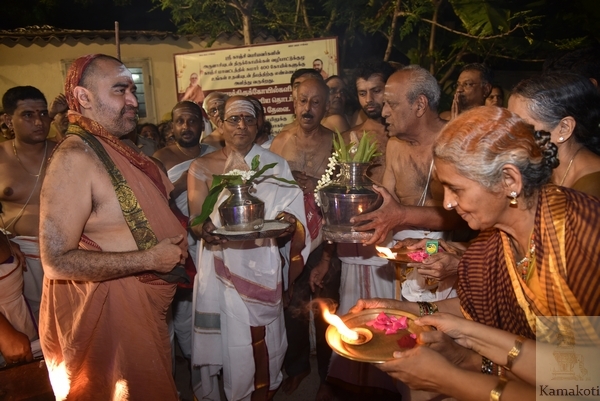 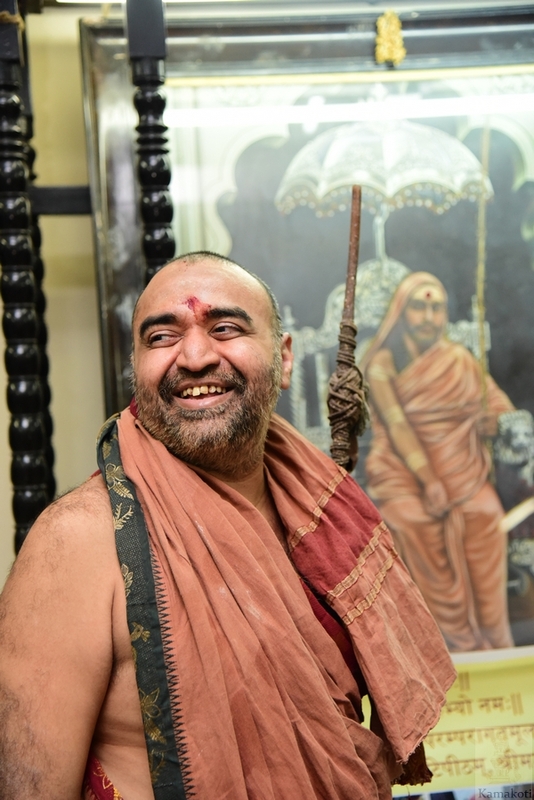 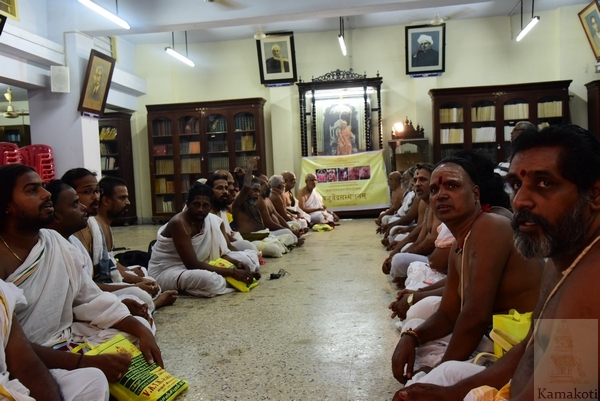 Scholars of Krishna Yajur Veda assembled and started the chanting in the presence of His Holiness Pujya Shri Shankara Vijayendra Saraswathi Shankaracharya Swamigal. 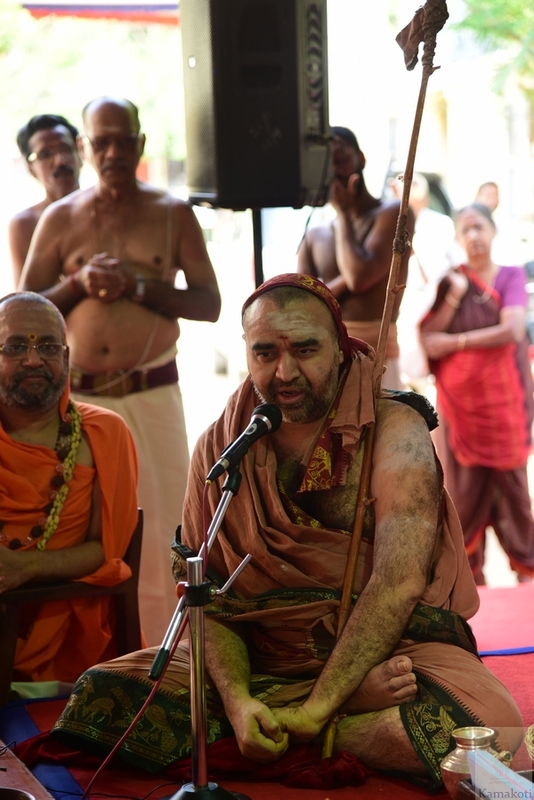 Shri Omkarananda Swamiji attended the inauguration and spoke about the importance of Vedic way of life and benefit of Vedic chanting. 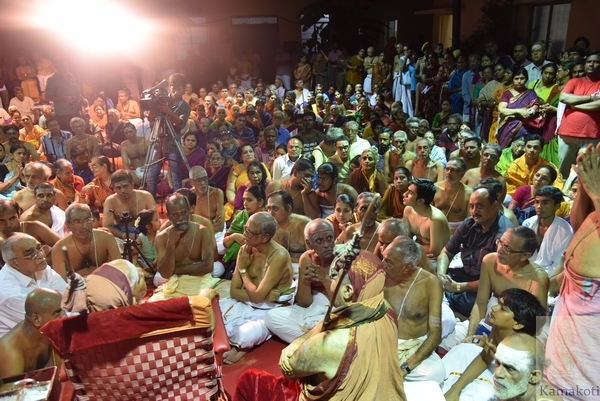 Brief extract of Holiness' s Speech: His Holiness then spoke in length about the efforts of Kanchi Paramacharya in sustenance of Veda Dharma. 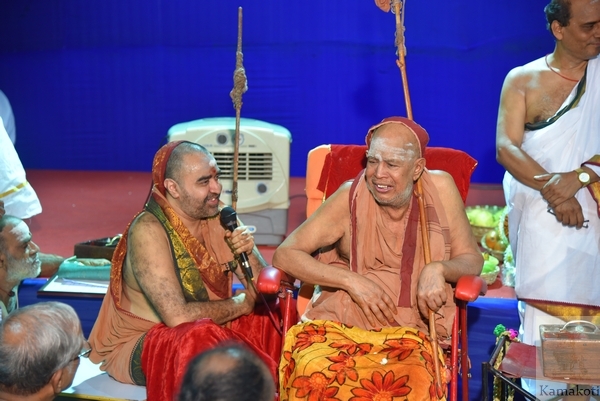 His Holiness said that incidentally today is the English birth date of His Holiness Pujya Shri Chandrashekharendra Saraswathi Swamigal, 68th Acharya of Shri Kanchi Kamakoti Peetam reverentially addressed as Kanchi Paramacharya and shared some memorable moments from HIS life. 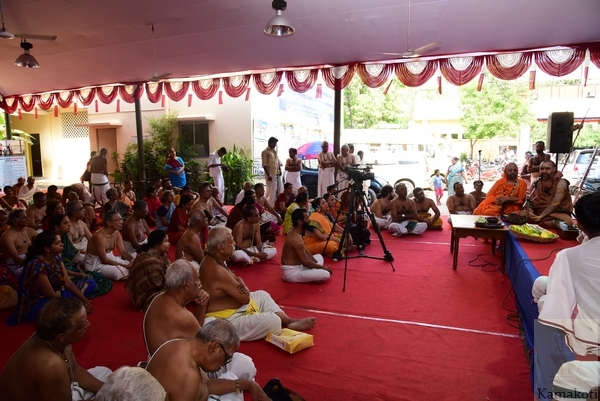 His Holiness also said that the Vedic programme has been organized to commemorate the 122nd Jayanthi of Paramacharya and the 80th Jayanthi of His Holiness Pujya Shri Jayendra Saraswathi Swamigal. 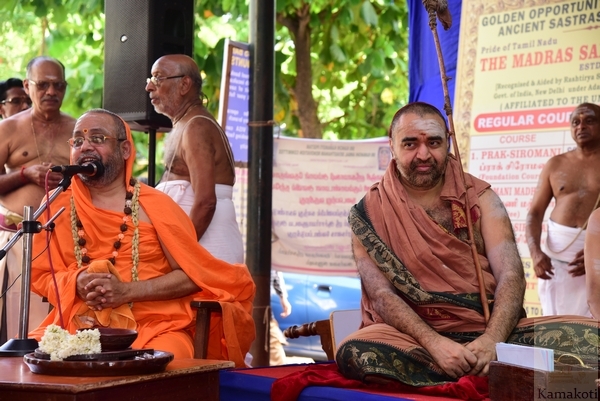 His Holiness stressed the need for devotion, hope, confidence and sustained efforts to perform good deeds. 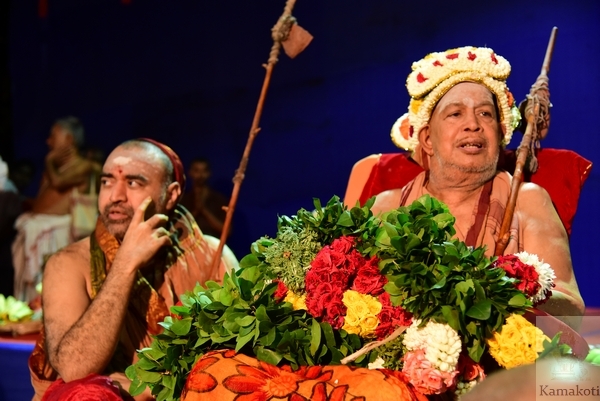 His Holiness said that there is no dearth of knowledge in our system but there is need to improve the presentation and distribution system. 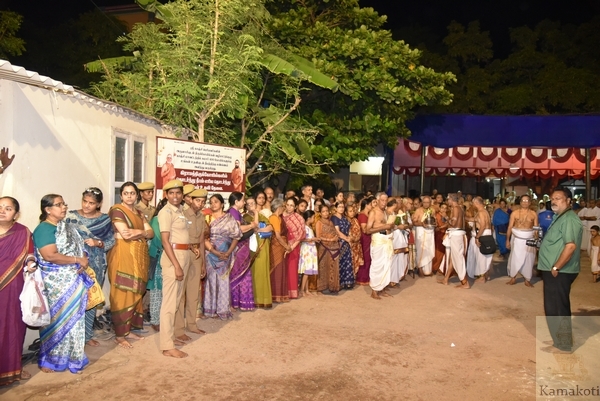 Explaining the point Holiness said that just as PDS (Public distribution system) is used for distributing materials to general public, a method has to be devised to distribute the knowledge inherited by us to benefit the common people. 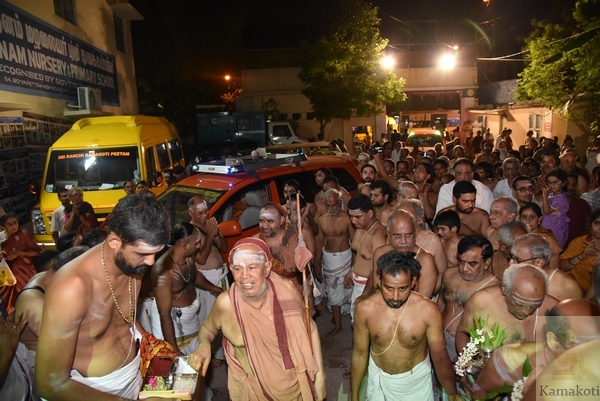 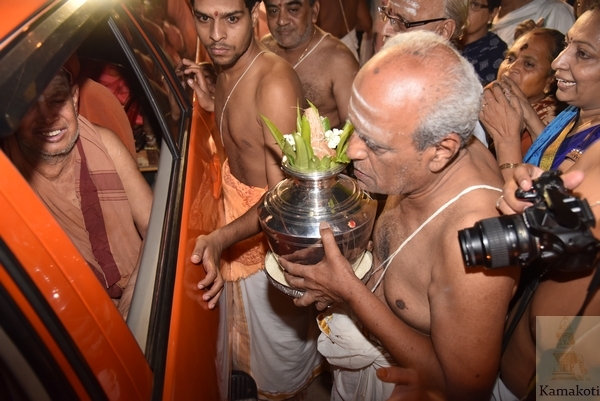 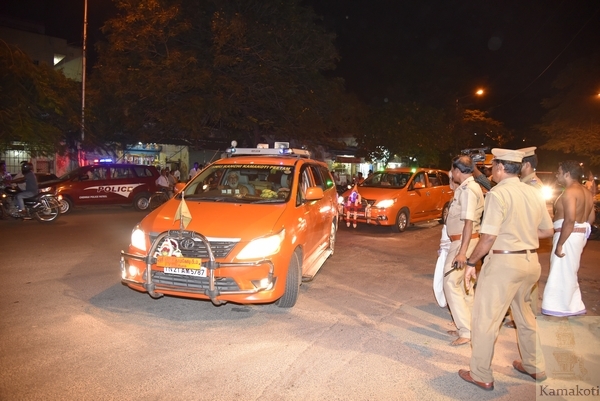 Holiness told such programmes could have taken place in towns and villages but since the Sanskrit College holds a special place in Paramacharya’s and Shri Periyava’s life, it was appropriate to have been held here. 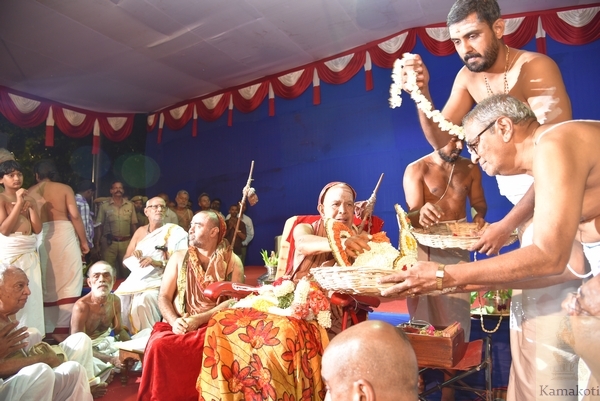 Holiness continued that in some places water level is good and in some place knowledge level is good. 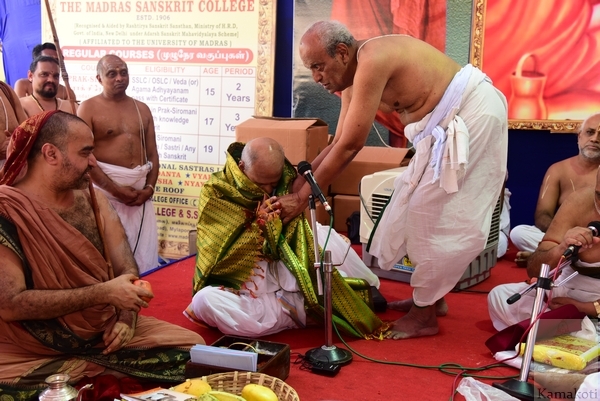 Holiness said that Rasikas are an important aspect to encourage and promote any area of knowledge. 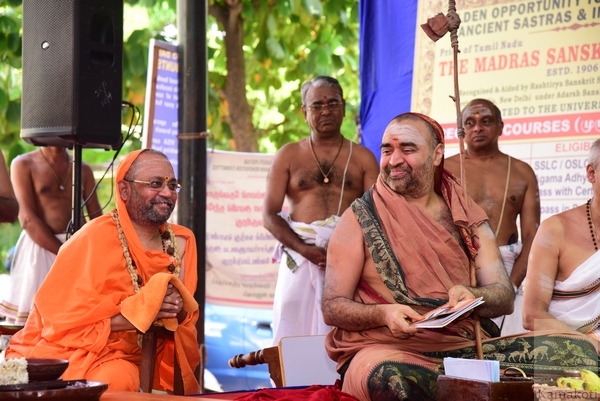 His Holiness said the Shastras need to be understood in the right perspective since they are here not to impose but to channelize thoughts and actions. 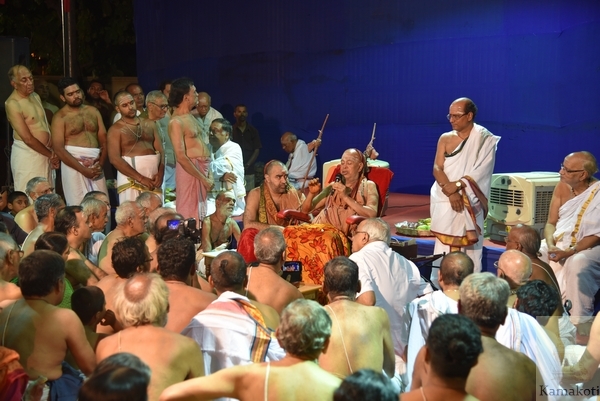 His Holiness concluded that sustained efforts are required from one and all to sustain the cultural heritage of our country.